Providing you the best range of sumihard 400 plates and sumihard 500 plates with effective & timely delivery. SUMIHARD 400 (NOW KNOW AS ABREX 400) is a through hardened abrasion resistant steel with a typical hardness of 415 BHN. 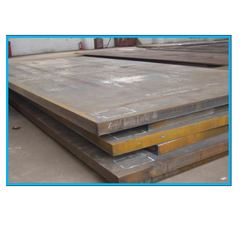 These steels are the most widely used of the wear resistant grades. They exhibit an excellent combination of high resistance to impact, workability, weld ability and resistance to abrasion. It has about 3 times the abrasion resistance of common steel plate and contributes to prolonging the service life of mechanical parts. SUMIHARD 500 (NOW KNOW AS ABREX 500) is a through hardened abrasion resistant steel with a typical hardness of 415 BHN. 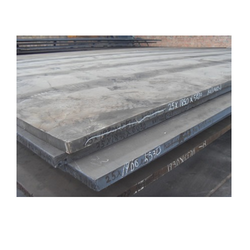 These steels are the most widely used of the wear resistant grades. They exhibit an excellent combination of high resistance to impact, workability, weld ability and resistance to abrasion. It has about 3 times the abrasion resistance of common steel plate and contributes to prolonging the service life of mechanical parts.